The advent of a new year is a time for fresh starts. While breastfeeding rates have been slowly rising overall, rates in communities of color continue to lag behind the national average- disparities in breastfeeding still persist, and with them, inequities in infant, child and maternal health. A new organization has been created to specifically address these issues. As of January 5, 2015, the National Association of Professional and Peer Lactation Supporters of Color (NAPPLSC) (pronounced “napple- C”) is offering yet another venue for redressing issues regarding disparities in breastfeeding. So what can you do to become involved? How can you be a part of this groundbreaking work? 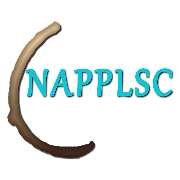 Please consider joining NAPPLSC as an individual or as an organization. Please visit our website to a learn more about who we are and what we do. Don’t forget to read about the work of our committees and their various outreaches. While on the website, enjoy the bios of our officers whose impact in their local communities is bearing fruit all over the country. Join our organization page on Facebook to stay abreast of current events and initiatives.There is so much to be done, and we are eager to get started. We invite you to get to know us.